Chair Bauman and the Statewide Officers of the CDP have made greater transparency in CDP operations one of the most important principles that guide their decision making. As part of that commitment, the CDP took the unprecedented step of publishing a list of each Delegate’s vote in last month’s endorsement vote for statewide candidates.Delegate votes have long been public – but with the caveat that the only way to find out how a Delegate voted was to physically inspect the ballots at the CDP headquarters. Needless to say, that kind of policy functionally limits access to ballots to a limited number of people (and we want to make clear that we never permit the electronic copying or recording of any ballot or other document containing a Delegate’s signature under any circumstances, which is it’s been standard practice to make ballots available for in-person inspection only). One of the best features of the new Voting & Convention Registration systems we introduced in San Diego is the ability to publish a detailed list of every vote cast by Delegates. Transparency is a core value of our Party and our Party Leaders. The Chair and Statewide Officers are extraordinarily proud to take this unprecedented step, and look forward to implementing even more transparency measures in the future. Find the full list of votes cast here. 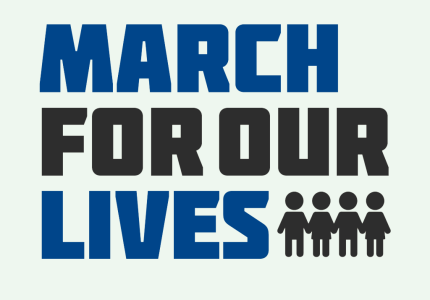 Last week’s March for Our Lives was the largest youth-organized demonstration since the protests against the Vietnam War. Tens of thousands of California students turned out in protest – and they were joined by tens of thousand more Democrats from up and down California. Thank you to everyone who marched on Saturday, and to those who attended the various events held in memory of Stephon Clark this week. Gun violence is not a simple issue, and there are many layers of the problem that need to be addressed. But we must continue to support every effort to ensure that people are safe from the threat of being killed or injured by gun violence, whether they’re students learning in a classroom or a young Black man in his grandparent’s backyard. As Democrats, it’s vital that we stand in support of the amazing young leaders at the forefront of these transformative, galvanizing movements. CDP Special Election Endorsing Caucuses are fast approaching for the Special Elections pending in California. We will also be holding a Special Endorsing Caucus for CD 21 for the June Primary. Check out the CDP Endorsements page for more information. In case you missed it, Judge Stephen Reinhardt of the 9th Circuit Court of Appeals past away. Chair Bauman’s statement to the press is below. Our deepest sympathies are with Judge Reinhardt’s family and colleagues. 220 Days Until Election Day!